Inter Airport Europe is taking place in Munich, Germany from 10 - 13 October 2017. 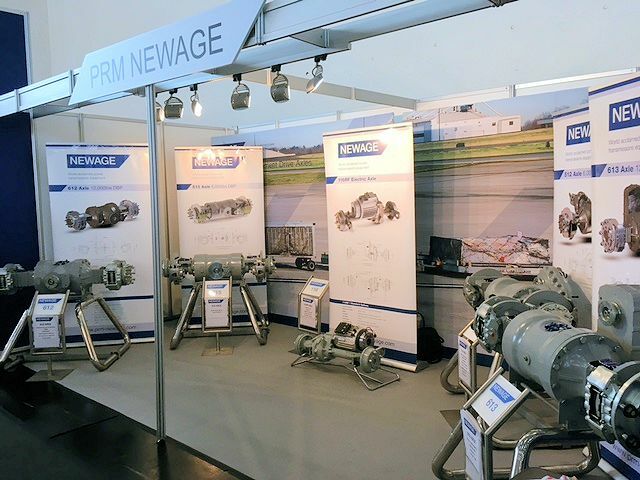 We are exhibiting our range of dedicated baggage tow tractor axles. For more details about the show click here. For more details about our Ground Support Equipment product range click here. Our NEWAGE 512, 515, 612 and 613 tow tractor axles are available in many different track widths, with both braking and mounting options. This range has maximum load ratings from 7,000 lbs thru to 22,000 lbs.